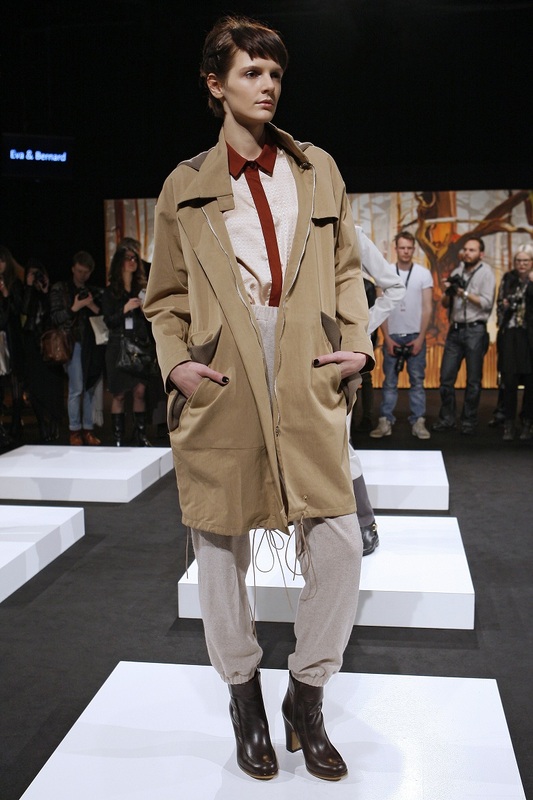 During Mercedes-Benz Fashion Week in Berlin in January I attended the presentation of Eva & Bernard's fall/winter 2012 collection. The collection was shown in the Studio in front of an enchanted forest setting which was the perfect background for the clean looks that came in a colour palette dominated by black, white and grey with a rusty red as the only colour highlight. 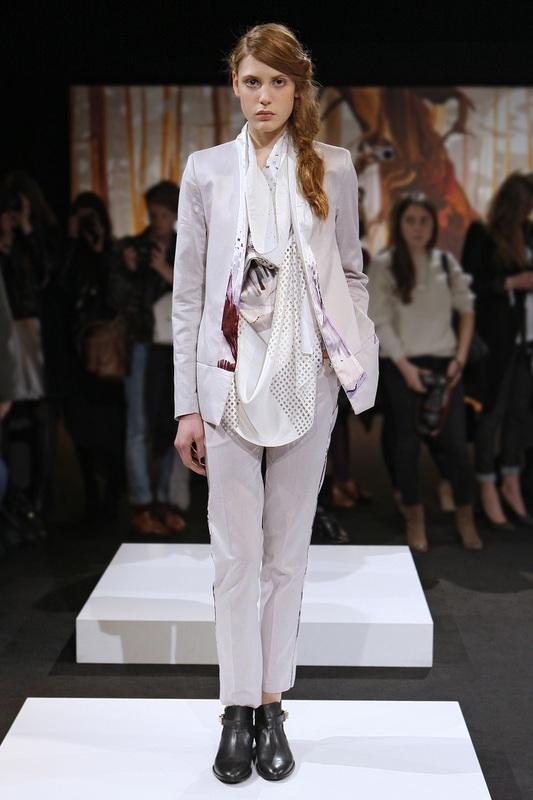 Eva & Bernard is known for easy-tailoring which shows in the clean yet extravagant cuts . 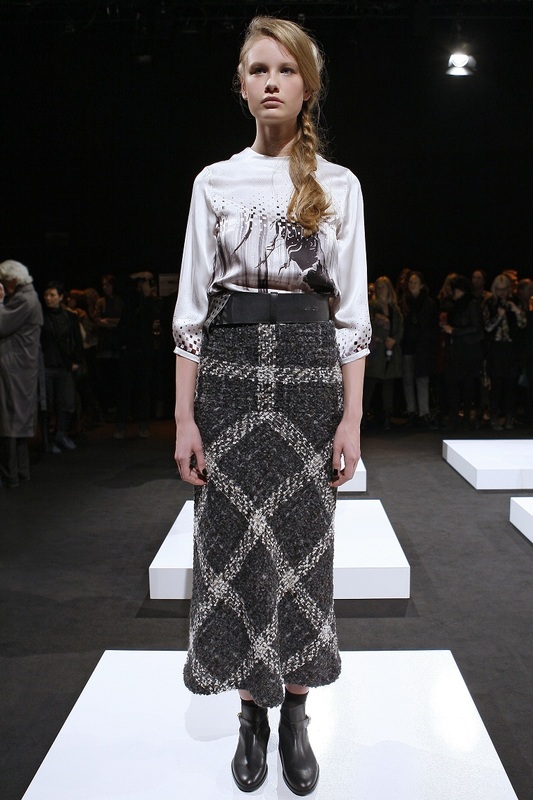 At the same time the collection is very feminine through pieces like silk dresses and waistlines accentuated with belts. I like the play with different materials like silk and wool or wool and leather which shows the designer's attention to detail and gives that certain something to the pieces. 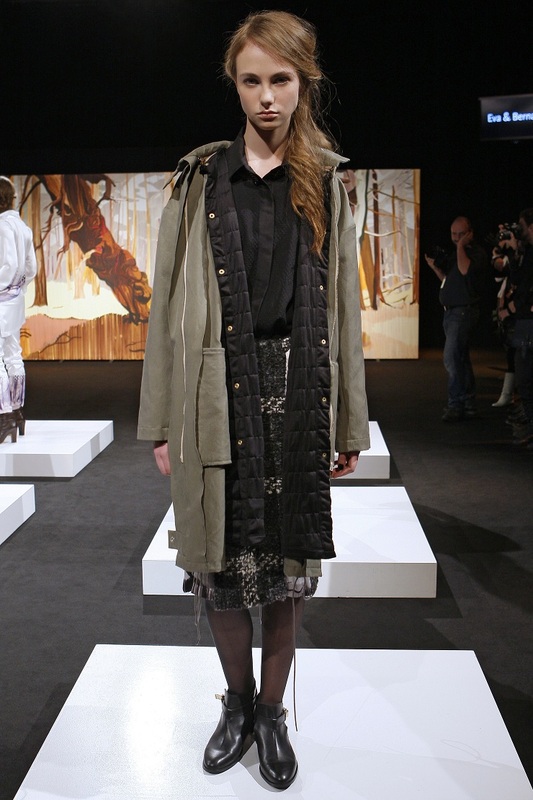 I really loved the looks and to me it's a collection that urban girls all over the world can easily wear. I hope the Berlin-based duo behind Eva & Bernard - Nait Rosenfelder and Roey Vollman - will keep it up and I get to see more of their work!